The holidays are a time for celebration and enjoying time with friends and family. In most groups, the tradition is to bond over a nice meal together. 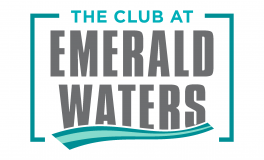 Despite our best efforts, sometimes it’s just incredibly difficult to figure out what you should make for your holiday meal in your apartment at The Club at Emerald Waters. Different people like different foods, some people have specific dietary needs, and so on. We put together this list of meals that is sure to keep your guests happy and accommodate almost anyone. If you try out these dishes, we guarantee you’ll have the best holiday party in all of Hollywood, FL. This meal combines the classic taste of a holiday roast with the delicious flavor of a rack of ribs. It’s also super easy to make for large groups of people, so it’s perfect if you have all of the family coming to town. To make this delicious roast, you’ll need one three rib standing rib roast, salt, pepper, mayo, Dijon mustard, whole grain mustard, horseradish, and sour cream. Who doesn’t love a good old ham around the holidays? It brings back memories of dinner at grandma’s house and warm winter nights by the fire. Best of all, this ham has a fun visual aesthetic too, with roasted pineapple rings all around the edges. To make this ham, you’ll need a cooked ham, Dijon mustard, brown sugar, chopped fresh thyme leaves, pineapple juice, pineapple rings, and maraschino cherries. This prime rib will literally melt in your mouth. Having a meat dish melt in your mouth is a weird phrase if you think about it, but once you try these roast you will know exactly what we mean. One bite in, and you won’t want to share with anyone else! To make this delectable dish, be sure to get a bone-in prime rib, thinly sliced garlic cloves, salt, black pepper, red wine, beef stock, and chopped fresh thyme leaves. The key to this roast is how long you cook it, so be sure that you give yourself enough time in advance to let this cook for about two hours. And of course, that’s just the main course, for meat lovers! Check out this compilation of 70 vegan holiday recipes for a selection of appetizers, main courses, side dishes, and desserts your vegan friends will love. What are your go-to meals during the holidays? Do you have any that you’d like to share with our residents here? Be sure to comment below and let us know. Thanks for taking to time to read our blog! Happy holidays!